dredg is a progressive alternative band from Los Gatos, California, USA formed in 1993. Their first studio album, Leitmotif, was released by the Universal music label on September 11, 2001. Prior to that, it had been self-released by the members of the band. After the album hit music stores, Dredg acquired an almost immediate cult following thanks to Leitmotif's unique sound and concept. There has also been a movie planned for release as a music video for the entire album, though the project has been scrapped due to the death of the lead actor. El Cielo, Dredg's proper Interscope debut, arrived in autumn 2002, and Deftones producer Terry Date was at the helm for their 2005 effort Catch Without Arms. A video for the single "Bug Eyes" was released. In the spring of 2006, Dredg played on the Taste of Chaos tour. In November of 2006, Dredg released "Live at the Fillmore." Industry Demos is a collection of four songs from 2001 that Dredg recorded before they were signed to impress record labels. The four songs are "Of the Room", "Redrawing the Island Map", "Running Through Propellers", and "The Papal Insignia." Despite the fact that the band has not spoke out about these songs, and has not played them as of late (although "Propellers" has made an appearance on setlists prior to the release of CWOA), these songs remain very popular with fans. Of the Room was rerecorded and released on Dredg's second album El Cielo. El Cielo, their second album, which was released on October 8, 2002, is also a concept album. Prominent influences on the album's concept and themes are painter Salvador Dal? 's life and a particular painting, Dream Caused by the Flight of a Bumblebee around a Pomegranate One Second Before Awakening (the first track on the album is named "Brushstroke:dcbtfoabaaposba"). On June 21, 2005, Dredg's third album, Catch Without Arms, was released. A video for the single "Bug Eyes" was released. For the spring of 2006, Dredg played on the Taste of Chaos tour, which also featured Deftones, Atreyu, Thrice, and Story of the Year as headlining bands. Also, Dredg headlined their own tour with Ours and Ambulette to hit cities that they did not tour in during the TOC tour (they came on the TOC tour about mid-way through). In addition to music, Dredg also creates artwork, which is available for viewing on the band's official website. Drew Roulette's works have twice appeared on shirts released by Artus. On May 11, 2006, Dredg recorded their performance for a live CD entitled "Live at The Fillmore". Dredg announced in a MySpace bulletin on October 9, 2006 that the CD is available for pre-sale  and that it will be released on November 7 2006. Remixes that currently exist are Dan The Automator's "Sang Real" and Serj Tankian's "Ode To The Sun." Both songs are off Catch Without Arms. The "Sang Real" remix is being made available as an added bonus for purchasing "Live at the Fillmore" off of iTunes. It is currently unknown what will become of the "Ode to the Sun" remix, or if the "Sang Real" remix will see wider release. In the beginning of August 2006, Dredg announced that they would be playing two "special events" back-to-back on September 14 and September 15, 2006 at The Catalyst in Santa Cruz, California. It was later revealed that the special events would be Leitmotif performed in its entirety on the first night and El Cielo in its entirety on the second night. Both nights would also features selections from Catch Without Arms. Recordings of these shows can be obtained via archive.org in FLAC format (the links can be found on the news page of traversing.net). Videos of the two shows are currently being edited by fans who recorded the shows. An early version of "It's not worth it" was performed on each night. 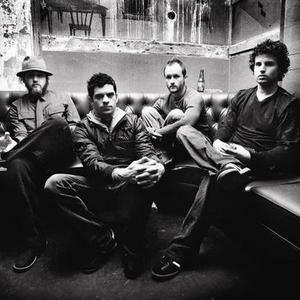 On November 7 through November 10, 2006, Dredg debuted a new song, "Ireland," at instore performances that were held in California to promote the release of their first live album, Live At The Fillmore. Along with the new song, selections from Catch Without Arms & El Cielo were played, as well as "The Warbler," which has only been officially released as a live track on the Fillmore CD. The band appeared in the 2007 membership list for The Coterie with honorary membership. The name Dredg comes from the English word dredge, which in its verbal usage, means to unearth or widen/deepen a river or channel (the device used for doing this is also called a dredger). The band picked the name in its earlier, heavier days, when they thought it was very descriptive of their sound.